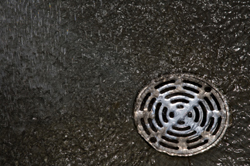 When a pool drain cover is missing or broken, it poses a serious risk to swimmers especially young children. The suction from the drain can pin a swimmer to the bottom of the pool resulting in a drowning or near-drowning accident. The suction can also cause life-altering evisceration injuries. In December of 2008, the Virginia Graeme Baker Act took effect. This federal law requires pool drain covers to be certified and meet certain requirements designed to reduce the number of suction entrapment incidents and evisceration injuries. Pool contractors, pool operators and maintenance companies should all be vigilant about ensuring the swimming pools under their care are complaint with the Virginia Graeme Baker Act. The law applies to all public pools including hotel pools, motel pools, apartment pools, community pools, water park pools, etc. The failure to comply with this law makes it much more likely that those responsible for the pool will be held liable for any resulting injuries. If you have lost a loved one in a drowning accident or a loved one has been seriously injured in a pool accident, it is vital you contact one of our Tennessee drowning attorneys to help you get the justice and the compensation you deserve. We will provide you with a free, no-obligation consultation in which we will assess your case and advise you of your rights. And, we handle all drowning and near-drowning injury cases on a contingency basis. For over 80 years, we have been the voice of injury victims and we are here to help you during this tragic time. Call us anytime at 615-742-4880 or toll-free at 866.812.8787 or fill out this form to schedule a free, no-obligation consultation.